Did I hear Arctic Expedition? Yes you did! Spitsbergen Retraced is a historical and scientific expedition that will depart for the Arctic this summer. In August 2016, we will ski unsupported for 30 days and 180 miles across the island of Spitsbergen (Svalbard), just a few hundred miles from the North Pole. We need your help, and are carrying out this appeal to raise the final £10,000 to make this expedition happen! 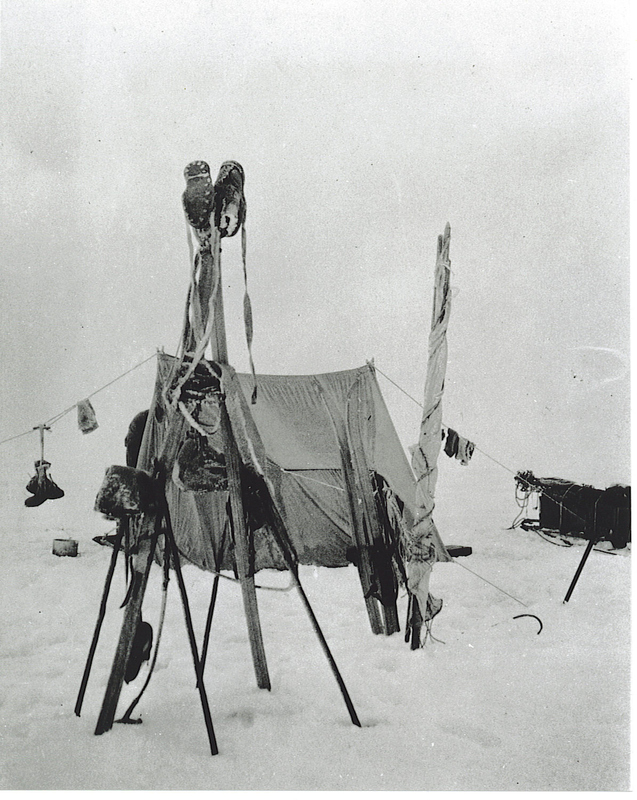 We will be retracing an Oxford University expedition that crossed Spitsbergen in 1923, one which contributed a great deal of scientific knowledge about the region through geological mapping, surveying and taking highly detailed landscape photographs of the glaciers and mountains. We aim to go back 93 years later using their photographs and original diaries to tell the story of how the landscape has changed over the course of a century. We will be in working in collaboration with the University Centre in Svalbard (UNIS) to conduct new scientific research in the region, specifically hi-resolution 3D mapping of selected glaciers, ice caps and mountains using state-of-the-art drones, and collecting DNA samples of the plants we encounter en route. Our research will help scientists to understand the way the ice and ecology is changing in this period of climate change we are experiencing. We believe it is important to further our understanding of Svalbard on this expedition, much like the previous team did 93 years ago, and hope that the data we collect will be a real contribution to the scientific community. Historical analysis of the changes in polar exploration over the course of a century using the extensive material acquired thus far, with a focus on attitudes and technology. 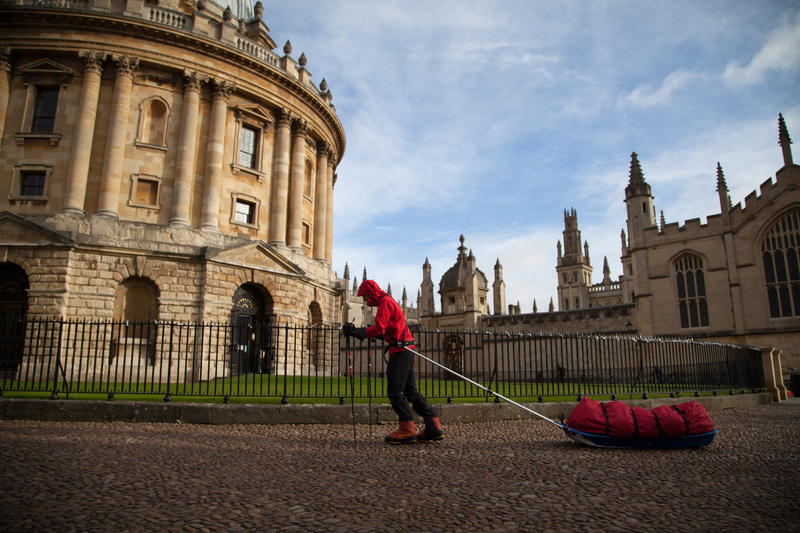 Our expedition team consists of four undergraduate students and a spirited fellow, all from Oxford University. Liam Garrison (far right, below) is a fourth year chemistry student at Somerville, and is the photographer and filmmaker for the expedition. He has been on climbing, cycling and trekking expeditions across the globe, but has yet to go this far north. He is very proud to be flying the flag for Somerville in the Arctic! If we reach our minimum, we will spend the money on ensuring the essential expenditures outlined above are fully covered. This will enable us to go ahead with the expedition. If we reach our target, we will be able to put that money towards the production of the film. Specifically, this will be for the hiring of a professional editing studio and editor. If we surpass our target, we will spend the money on additional research equipment such as differential GPS for more accurate positioning, a drone with extended range and flight time to enable more maps to be created, and the latest video production equipment to ensure our film footage is professional as possible. During the campaign, we will be sharing updates of our recent training and how preparations are coming along. We want to include all of you as a part of the expedition, whether you have donated £10 or £1000, so please get involved on our social media pages or email us with your thoughts or ideas. We would love to hear from you! We have some great rewards that we think are very unique for our project. Please see the right hand side of the page for more information. If you have any questions about any of them, please don’t hesitate email us. 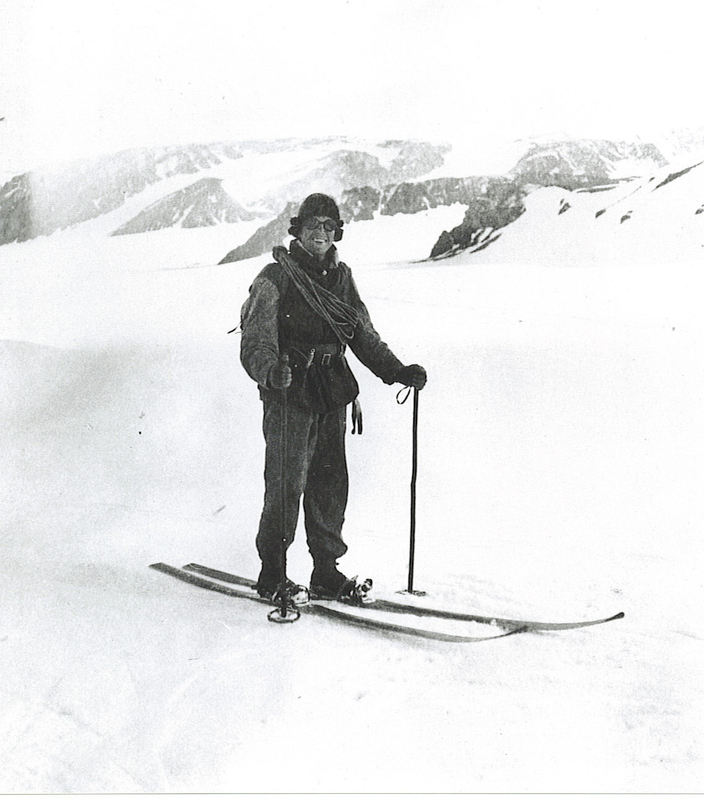 More detail on the ‘Arctic Dinner’: In the spirit of the 1923 expedition, we will be hosting a pre-expedition dinner at Merton College on the 18th June for our most generous supporters. We are aiming to recreate the menu from the dinner they had at Merton upon their successful return 93 years ago. It will be a great opportunity to come and meet the team and the other donors; we will also have the 1923 team’s original diaries and artefacts available for browsing. 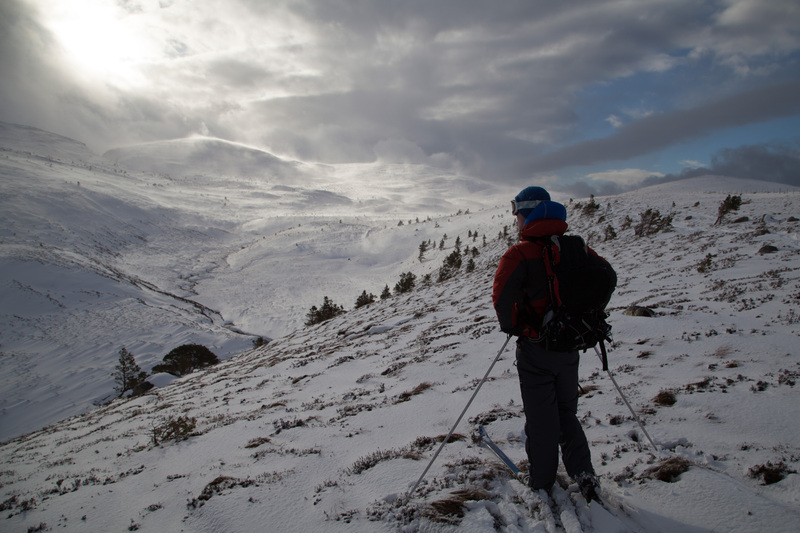 Please do have a browse of our website for more information on the expedition. Follow us on Facebook , Twitter and Instagram (yes, all three!) to hear and see our progress over the next few months as our departure date for the Arctic looms closer! Or if you are feeling sociable, tweet or message us, take a selfie with us in the street, tell us what you had for breakfast this morning, show us a cute husky video, whatever! Help us get to the arctic! Though this might all seem like a blatant plea for money, you don't need to give money to help us succeed! Please share this project with anyone you think would find the expedition interesting or who might support us – on Twitter, Facebook, by email, telephone, telegram, snail mail etc…We want to spread the word about Spitsbergen Retraced as much as possible, and we think it is a fantastic project, so if you could, erm, share it with everyone that would be great!!! And we know we said you don't need to give money to help us get to the Arctic, but we would love it if you did! 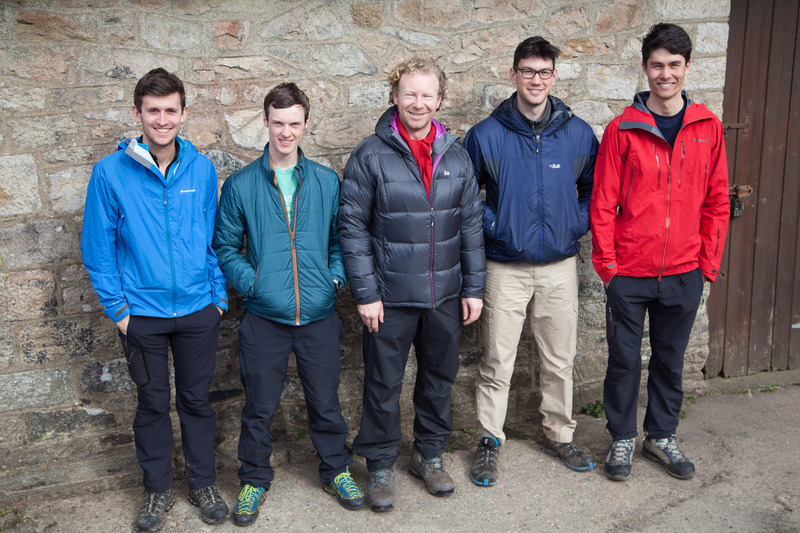 Donations - at all levels - are greatly received and will make a huge difference to the success of the expedition. Please sponsor us and help make this exciting project happen! If you would like to support the project, but don't have a PayPal account, you can make a gift through the Somerville website . You will need to select the 'Annual Fund' and note that your kind gift is to be designated towards the Spitsbergen Retraced project.